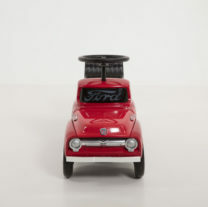 Put your favorite little hot-rodder behind the wheel of a true icon! 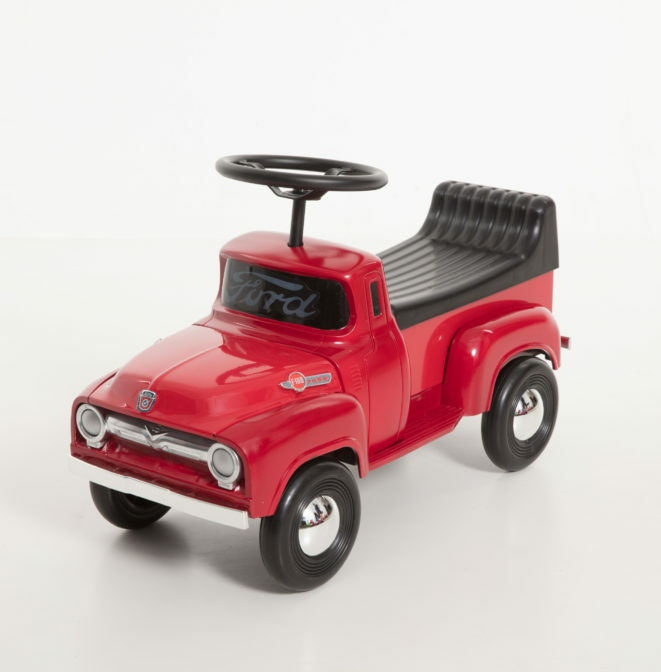 The Officially Licensed 1956 Ford F-100 Foot to Floor Ride-on is made by Heavy-Gauge Stamped Steel. It brings back memories of old times. Features Bright Chrome Accents, Bold Graphics, and Smooth-Riding Tires. 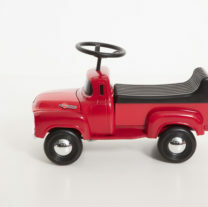 This Foot to Floor car also comes with a Functional Steering Wheel for a lot of fun. 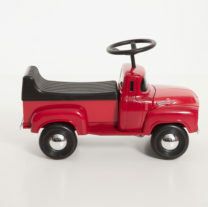 Perfect for children ages 1.5 and up, offers a maximum weight limit of 44 pounds.